The Kraft Journal hosted by KraftOutlet.com: What's Hot Wednesday! 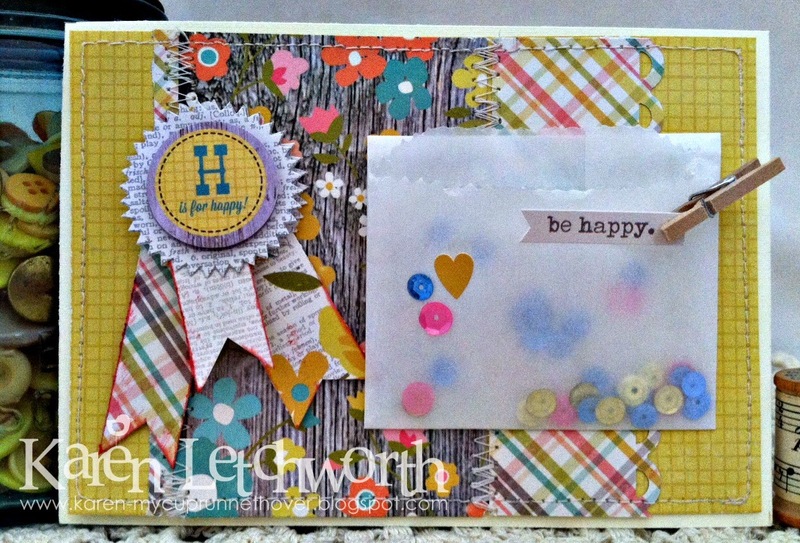 Hello crafty friends of The Kraft Journal! It's Karen today with our What's Hot Wednesday segment, and I'm going to share some really fun ideas for using the Kraft Outlet's sweet and versatile Small Glassine Bags. These adorable little bags have always been one of my favorite items to use on cards, in mini albums, and just about anywhere! Here are a couple of great ideas for using them on YOUR projects. This first card was created using a Small Buff Ivory Notecard and adding some patterned papers, stickers, machine stitching and coordinating embellishments. The word "Be" was die-cut from a scrap of Buff/Ivory Cover Weight Cardstock. I used the Small Glassine Bag on this card as a gift card holder. This is an idea I use a lot because it allows you to give someone a nice hand-made card and you can tuck a gift card (or cash) inside the Small Glassine Bag. There are so many ways to use these adorable little bags; and the best news of all is that they are only $2 for a package of 25 envelopes. That comes out to only EIGHT CENTS EACH!! 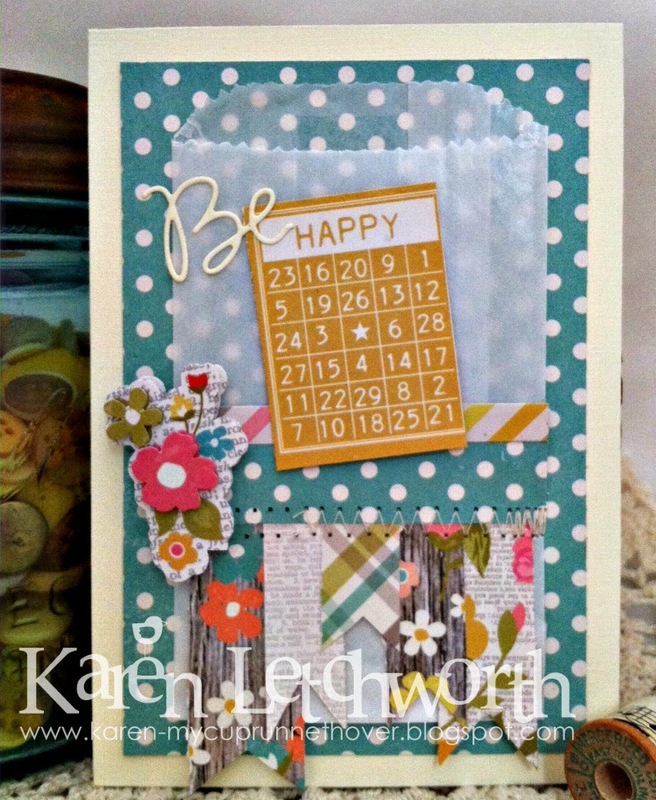 My second card again starts with a Small Buff/Ivory Note Card that I covered with patterned papers and embellishments. On this card, I used the Small Glassine Bag to create a little "shaker envelope" and I tucked some color coordinated sequins inside. My sentiment "be happy" is secured with a Tiny Wooden Clothes Pin. There's really no limit to all the creative ways you can use these sweet little Glassine Bags; and as I mentioned, at only EIGHT CENTS EACH they are an incredible bargain. I encourage you to stop by the Kraft Outlet to check out these, and all the great crafting supplies we offer. There's something for everyone! You're welcome to visit my blog, My Cup Runneth Over, for additional photos and a complete supply list.